A Circus and Carnival family reunion! 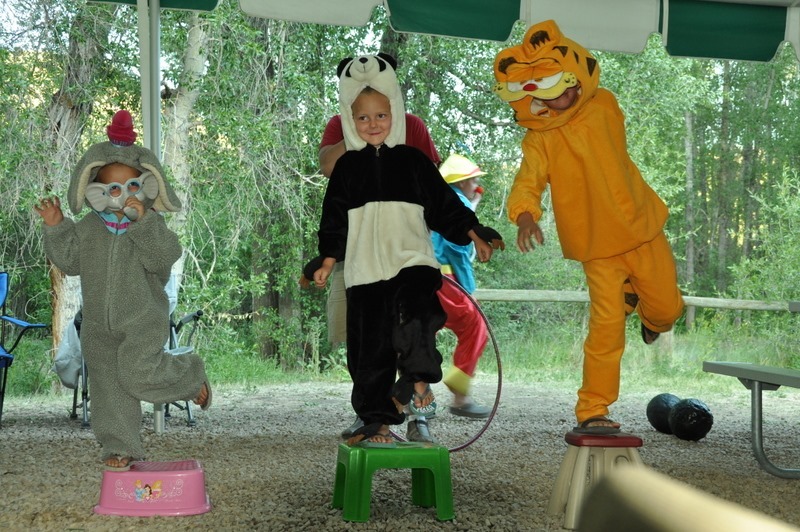 No need to run off and join the circus- you’re family will have more fun than they ever imagined when you create a Circus-themed family reunion! 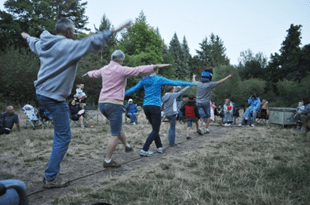 Begin your family reunion with a circus parade. 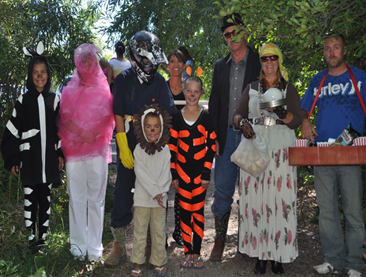 Ask everyone to dress up as clowns, wild animals, popcorn venders or circus performers. Decorate bikes, strollers and wheelchairs and give prizes for the most creative and unusual costumes. You might want to have a few extra crazy wigs, wacky bow ties and plastic noses for those that forget their costume. 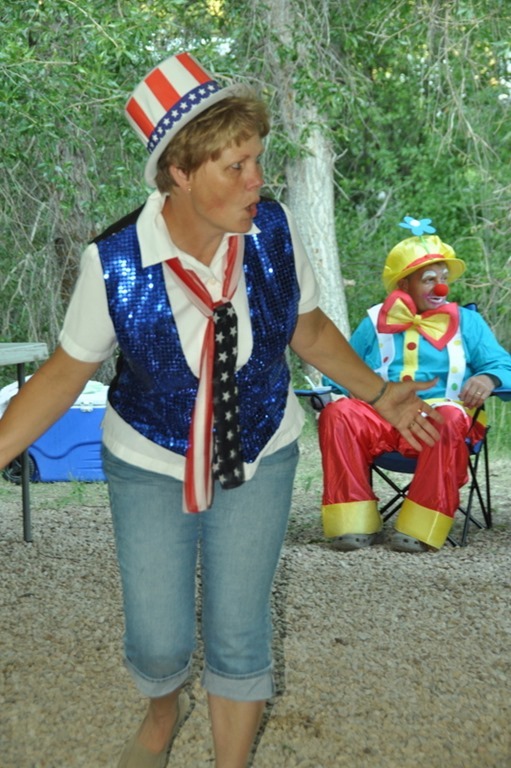 My favorite thing about a circus themed family reunion is that it is so easy to make assignments. 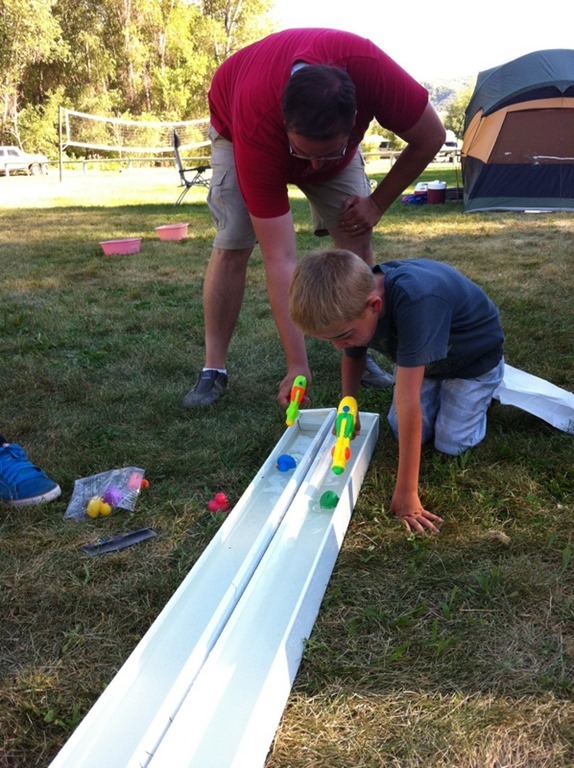 Assign individual families a game booth for your carnival. They can be responsible for the game and prizes for their booth. Assign family members a circus act (silly and creative acts are the best) and don’t forget a ringmaster to keep things lively. Get the teenagers in your family involved by asking them to be in charge of a face painting booth. Kids love to have fun with their favorite animated characters and cartoon idols. 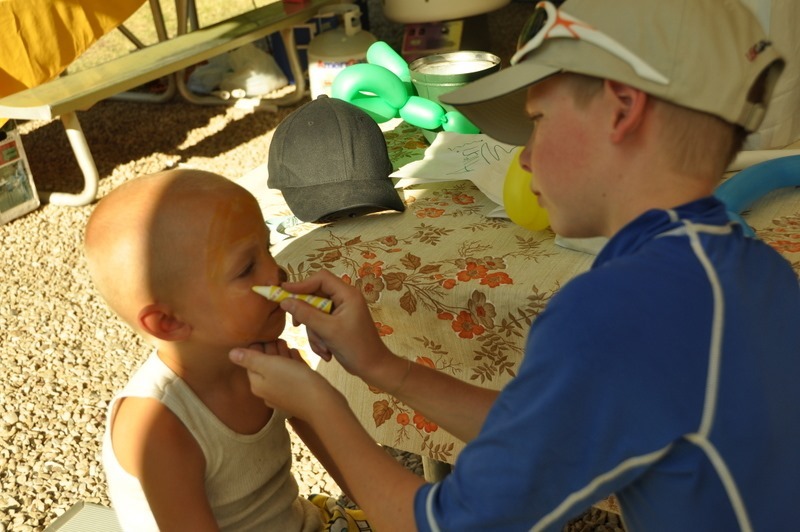 Face painting is popular but you will need more than one painter to accommodate all the children that want their faces painted at your circus reunion. 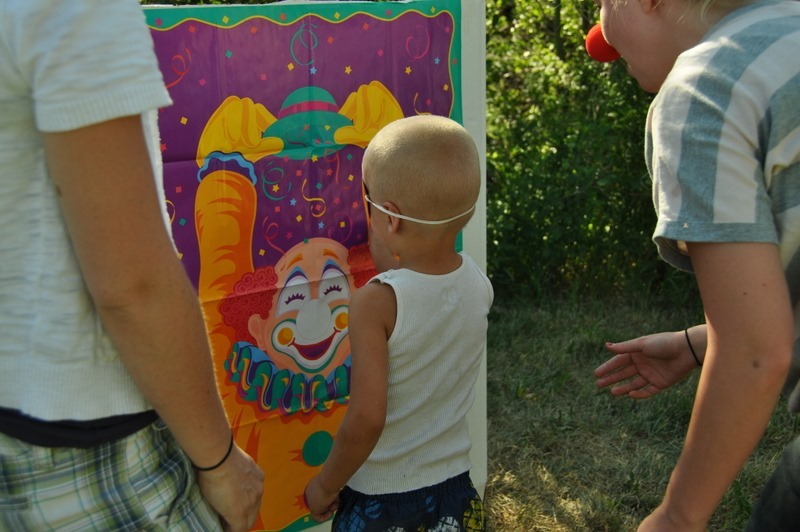 You can find lots of fun circus party and and game activities in familyreunionhelper.com’s reunion theme package. 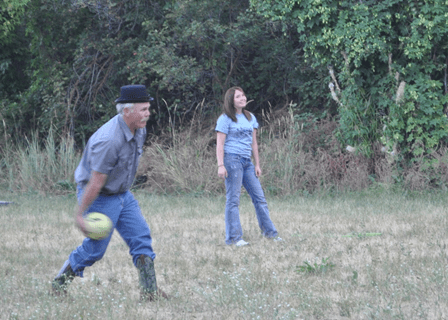 Consider a game of “Clown Softball”. It’s a mixed up and silly way to play softball that will get team members and spectators laughing. 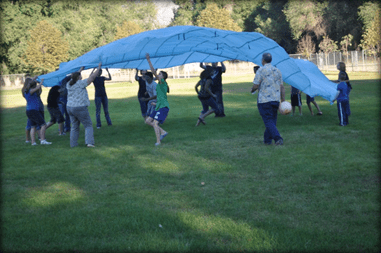 Or how about a “Big Top” parachute? Parachutes are so fun and can add to your circus theme if you call it the “Circus Big Top”. The best thing about a parachute is that up to 25-30 people can be kept busy and that there are no actual winners and losers in the games. It’s important to include activities for family members that don’t want to be as physical as the younger set. Pass out copies of the “How Well Do You Know the Circus?” Quiz and give a box of animal crackers to the person that gets the highest score. Test your circus knowledge with this sample question from the quiz. 1. About how long is the RINGLING BROS. AND BARNUM & BAILEY train? The answer- A, 1 mile. You can find a copy of the quiz as well as lots of fun activities at familyreunionhelper.com. They are included in the Circus themed reunion. 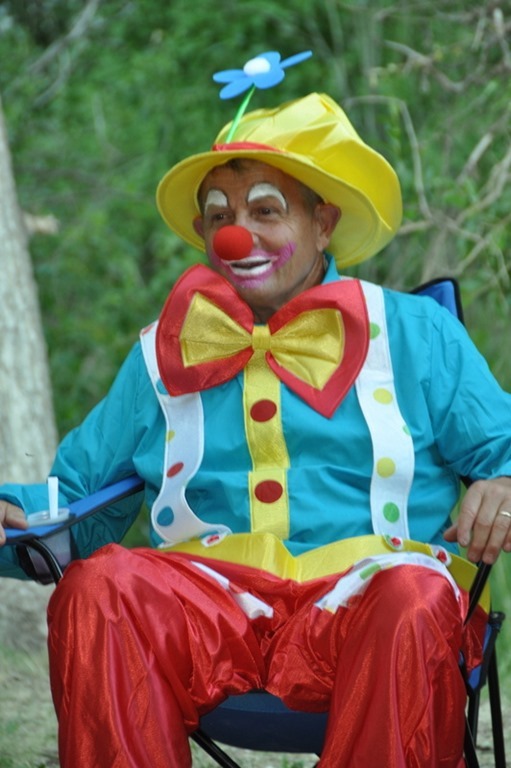 If you’re looking for a family reunion that gives your family a chance to clown around then a “Circus” theme is the one for you. Thanks to the Banner family for many of the photos posted in this blog. You can certainly tell that they are a supportive and fun family. Organizer of the Banner reunion was the Ric and Jill Crowther family. This entry was posted in Family Fun, Family Reunion Fun, Family Reunion Games, Family Reunion Ideas, Games, Party Fun, Planning a Family Reunion and tagged Carnival booths, carnival family reunion, circus family reunion, circus games and activities, Circus parade, circus party, circus party invitations, circus quiz, circus test, clown softball, face painting, parachutes by Aunt Mo. Bookmark the permalink.